Boy do I miss Isaac Hayes! What Isaac Hayes represented musically and culturally should continue to serve as an inspiration for generations to come. I wanted to do a special edition of “Cover Me” for Isaac Hayes as a tribute as well as a “teachable moment” as it were. 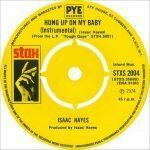 You know over the past few years I’ve heard rumblings and I’ve also probably provided a few characters of my own on this very blog, but I feel compelled to say something in honor of the legacy of Isaac Hayes. Isaac Hayes made a statement in an interview about his work on the score to Shaft that I and a lot of my musical kindred have taken to heart and continue to live by all these years later. Isaac said that whatever he’s writing if it doesn’t sound good on the piano, it’s not going to sound good. That jewel of knowledge that Isaac was passing on comes from the tradition of true arranging and production. I don’t care what your primary instrument is, if you want to arrange/produce get your piano skills up. You see Isaac was a masterful arranger/producer because he painted with such vivid imagery through all of his musical offerings. Yet all of that imagery came from him simply sitting down at a piano and working it out. Compare that with today and a million sounds at your disposal and well… the key to what is missing:imagination. You see if you sit at a piano and you’re working on a particular part you have to imagine who in the band or orchestra you will assign that part to. Sure you can save a few steps and pull that patch up on the keyboard but once you’ve done that, the mystery is gone. Issac’s music took us on a journey… who else could make songs that topped the 13 min. mark and keep your attention? Nowadays in a lot of music 4 bars in, I’ve heard the entire song. I don’t say this out of spite, envy, jealous etc., I really am saying this out of love and concern because we can and we must do better to honor the legacies of the greats like Isaac. If you’re not out there trying to making great music, full of imagination, soul, integrity and the like, then I’m kindly requesting that you find something else to do. This gift of music that we have been given is too precious and we have far too little time to play around with it like kids with a new toy. 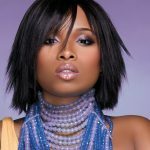 No it’s time for the grown folks to send the kids to the other the other room because grown folks are making music… again! Isaac Hayes vs Geto Boys – Who rocked it better?